More and more people are turning to honey as a natural sweetener because they’re realizing that white sugar is one of the worst foods around. Honey is actually much sweeter than white sugar and is assimilated directly into the bloodstream very quickly. Honey contains more minerals and enzymes. Honey has been used as medicine for centuries. All types of honey, both raw and heated, work naturally to harmonise the liver, neutralize toxins and relieve pain. Its warming/cooling energy is neutral. Honey moistens dryness and treats dry or hoarse throat and dry cough. Both raw and heated types of honey are useful for treating stomach ulcers, cancer sores, high blood pressure and constipation and can be applied directly to burns. Honey’s sweet toxic removal properties are used to break the cycle of alcoholism. Alcohol is a sugar. Give honey by the spoonful when more alcohol is craved during a hangover. Honey’s harmonizing effect is also beneficial when a person is overworked, having menstrual problems or is exhausted. A small amount of honey is normally adequate for those whose diet is primarily grains and vegetables. For most purposes, dilute one to three teaspoons of honey in warm water or mix with other food to reduce its strong effect. Heated processed honey should not be used by people with copious amounts of mucus. Raw, completely unprocessed, unheated honey is preferable it has the ability to dry up mucus and is helpful for those with edema and too much weight. Raw honey is not recommended for infants under 12 months. 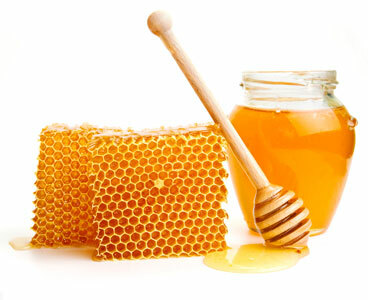 Raw honey can be obtained from some grocery and natural food stores, or from beekeepers. 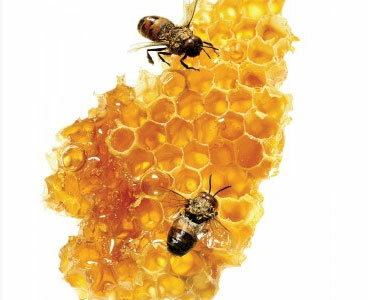 The nutrients in honey are believed to assist in cancer, heart and other diseases. According to the United States researchers, dark colored honey, such as buckwheat honey, is generally thought to contain higher levels of nutrients than the light colored varieties. Honey also has the same level of disease resistant nutrients as fruits. I beleive it but I don´t use honey for ethical reasons. I love bees to much.